The Cornerstone Clubs have been voted the BEST Health & Fitness Club for 17 years. Cornerstone has been expanding across multiple locations in the Bucks County community since 1995. We are always on the lookout for talented, energetic people to join our team. If you feel you have the passion and awesome attitude it takes to be a Cornerstone team member, then we would love to hear from you! For some positions, we offer competitive compensation, medical/dental benefits, 401 (k), FREE health club membership, and more! Our open positions are listed below. To apply, please click on the individual position and fill out the application. 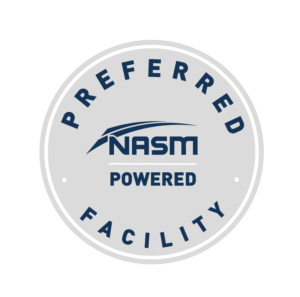 Here’s another great reason to join the team – as a Preferred Partner Facility of NASM, Cornerstone employees benefit from large discounts on professional certifications and continuing education! These include 30% off NASM’s Certified Personal Trainer bundles and 11 specialization courses, 30% off AFAA’s All Inclusive Group Fitness Instructor Certification and other AFAA courses, and quarterly specials up to 40% off. For more information or to register for courses and receive the discount, contact Kim Aquilo at Kim.Aquilo@nasm.org.